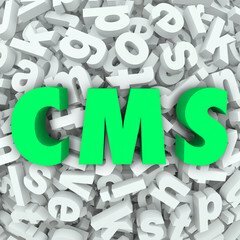 As popular as Content Management Systems (CMS) have become, a small percentage of the web actually uses a CMS system. A large majority of the websites were created before CMS systems became popular. If you have not used a CMS system, you are probably used to asking a web developer to make all the changes needed for your site. Chances are, you do not make updates often enough, and your website does not see regular blog posts, articles, etc. All of these are necessary today because your audience expects them. Without frequently added content, you do not look like a dynamic, credible business. What makes it worse is that search engines also will not rank you as well as regularly updated websites. Having a Content Management System (CMS) built into your website adds benefits like; saving cost and time, easy web content management, adding content to the site in the form of articles, and blog posts. CMS also enables ease of carrying out website maintenance, adding new features, document management, a variety of options for formatting your site and of images, auto updates and easy handling of the site’s SEO. If you do not have CMS already built into your current website, we suggest that you schedule it as a part of your next website maintenance. However, considering the number of options available to you, it is important that you do your research and choose a CMS that best suits your website and its needs. Not having a strong technical background or not understanding the nuances of web maintenance can make it difficult for you to choose a CMS and integrate it into your website. Flying Cow Design and its team of web developers can come to your rescue in such situations with CMS integration services. We will first understand your website and its needs, eliminate systems that may not be useful to you, give you options best suited for your site and help you make a decision. We will also integrate the CMS into your website and perform regular site checks to make sure everything is running smoothly. Our web design and development team includes graphic designers and web developers experienced in working with all the leading CMS platforms ensuring that you get a website that’s both contemporary and feature-rich. Our team has rich experience and capabilities in user interface design and creating custom CMS templates for our clients. Alternatively, if you prefer, they can customize and integrate an existing template of your choice for your website. We develop admin consoles with multiple levels of access, different rights to different users. What that means is you can give different levels of access to various team members and users for web content management and maintenance of your CMS site. Our team of developers can create custom features, modules, databases, content management functionality, mobile apps and software programs for your website to maximize your business potential. Security is a growing concern at every level. Your website is completely secure with multi-level encryption to protect your data. At the same time, we deliver secure sites that align with modern search engine guidelines. All our CMS based websites are mobile friendly. Responsive web design allows your website to render seamlessly on all mobile devices. As an online marketing company that understands search engine optimization, every website we develop has SEO best practices integrated into it. We ensure seamless social media integration into your site. Allow visitors to connect to your social media profiles and also to share your content on their social media pages. We also offer complete website support and maintenance services to ensure uptime, regular back-ups, periodic security checks, 24/7 customer support and more. If you are a blogger, need a personal website or a small business requiring a basic information website, we recommend our WordPress web design services. Joomla and Drupal are two of the most popular open source enterprise CMS platforms. We have extensive experience developing websites on both these platforms. Read more about our Joomla web design services and Drupal web design services. Magento, PrestaShop and VirtueMart are three of the most popular ecommerce content management platforms. If you are an ecommerce business, find out more about our Magento web design services, PrestaShop web design services and Virtuemart web design services. Communication – Effective business communication is key to an increase in Return on Investment (ROI). User-friendly interface – We will develop website and app interfaces with multiple features. Automation – When your business automation is streamlined, and automated content and depleted data. Unique features – We will add any custom features which match your vision. Process driven approach – Our process driven approach is both time-tested and proven over decades of web design and development. Flexible packages – We work with both enterprise and SMB clients and provide you complete flexibility in the packages and pricing to ensure our solution best suits your needs and budgets. Marketing automation integration – We can make sure your website integrates with your marketing automation system like Marketo, Pardot, to name a few. End-to-end web presence management – We have over two decades of experience in web presence management including brand identity and graphic design, domain registration and hosting, web design and development, website maintenance and security, online marketing including content development, PPC, SEO, social media marketing, email marketing and more. Contact Flying Cow Design for more information on CMS and for CMS integration of your site.